If you need to find a new lender for that difficult file, a processor that that can give you guaranteed turn around times, or maybe you want to expand your licensing to be able to close more loans in different states, you have come to the right place. 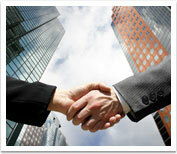 Reactionary Advertising offers web site design and optimization primarily to the real estate and mortgage industries. They have developed many of the sites consumers use today to find their next mortgage or home for sale. Brand The Web is well known for creating some of the most dynamic and user friendly internet brands online today. They have developed many affluent consumer experiences to allow the consumer to find what they need within their network.